this Thursday, on August 2nd at 11am GMT Bank of England meeting will be held to make decision on interest rate. "Analysts predict that Central Bank of Great Britain is likely to raise interest rate by 0.75% for the first time since last November. We also recall that approximately 8 months are left till Brexit. That is why statements of top government officials will be extremely cautious, and any harsh statement or resignation of key political figures may cause sharp fluctuations in market." 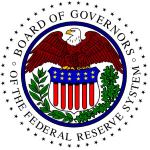 The next Fed interest rate decision announcement is scheduled on this Wednesday, August 1st at 6pm GMT and is likely to cause high volatility on market. "The next Fed interest rate decision announcement is scheduled on this Wednesday, August 1st at 9pm GMT. All traders' attention will be focused on the two-day fed meeting. Rates are expected to remain in the range of 1.75-2%. Experts predict the nearest growth of rates in September and December this year. 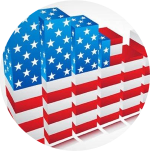 The uncertainty of the mutual trade relations between the US and China, the lack of clear conclusions on monetary policy, the sharp remarks of US President Donald Trump promise strong volatility at the market in the near future. The fed's decision will be published at 9pm GMT on August 1." FreshForex updates the most modern and convenient trading platform MetaTrader 5 to the latest version! Technical update to 1881 build is available for operation systems Windows 7/8/10. 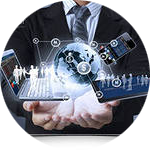 It provides faster and more stable work of trading platform. If you haven't updated to the latest build yet, next time you launch MT5 platform, you will be offered to update the software automatically. It won't take much time. 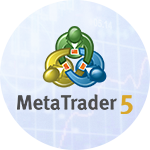 Enjoy trading with updated MetaTrader 5 platform! 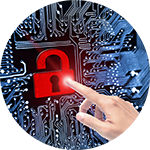 For us safety of traders is of the utmost importance, for this reason we constantly introduce new modern means of data protection. You already can enable 2-step verification in the Client Area for added safety of your personal information. 2-step verification is used for signing in to Client Area, funds withdrawal and password change. How will signing-in change? After you enter correct username and password you will be asked to enter unique one-time password from SMS message. No one can steal your data with 2-step verification: even if a bad guy gets your password, they don't have access to your phone! 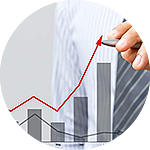 FreshForex provides high protection and safety of confidential information and funds of the clients. However, it's recommended to follow simple safety rules. We wish you safe and profitable trading! 2 NEW CRYPTOCURRENCIES AND BETTER TRADING TERMS! FreshForex launches another two cryptocurrencies for trading: Litecoin (LTCUSD) and Bitcoin Cash (BCHUSD)! Litecoin daily turnover reaches more than 300 million US dollars, and Bitcoin Cash daily turnover — almost 500 million US dollars. These cryptocurrencies are a great alternative to Bitcoin! You can also trade other cryptocurrencies with FreshForex: Bitcoin (BTCUSD) Ripple (XRPUSD), Ethereum (ETHUSD) and LeviarCoin (XLCUSD). Low floating spread and leverage 1:100. In FreshForex Heatmap you can see profitability of each cryptocurrency. Now FreshForex clients can fund trading account and withdraw funds in Chinese Yuans (CNY) via Neteller system! Millions of users all over the world use Neteller. This payment system guarantees high level of transactions safety and offers higher deposit and withdrawal limits. Withdrawal amount: from 30 СNY to 6500 CNY. To see detailed terms and instructions for deposit and withdrawal check out our page "Deposit and Withdrawal". FreshForex offers comfortable trading with MetaTrader 5 platform for Android and iPhone! Regardless of where you are, trade on Forex any time from your smartphone or tablet: keep abreast of market changes and manage your trades 24 hours a day. User-friendly: minimum mobile data use and offline mode for observing quotes and positions. 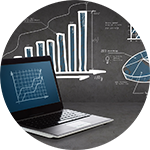 Mobile trading with MetaTrader 5 — you instant access to trading and convenient management of trading accounts! GET BENEFITS WHEN FUNDING ACCOUNT! When funding FreshForex account you not only save you commission expenses but also get twice as many funds to your account! When you simply fund FreshForex trading account, you already earn, as there is no additional costs and commissions, that by the way can reach 10% of deposit amount with other brokers! 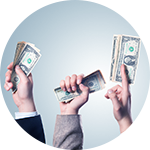 Payment systems do not charge commission for deposit for mentioned deposit methods. Key feature of "Deposit Bonus 101%": in case of loss, bonus funds remain unchanged and you can use them in trading. In case of profit, the amount of bonus funds is reduced by profit amount. So in case of loss you don't lose credited extra funds, and by making profit you turn extra funds into your equity and can withdraw it. 101% is a special offer that really works and not just increases volumes! We would like to share July trading results of FreshForex traders. Check out our report about the best trades and the most interesting assets for trading and set your own records! $4 336 is the most profitable July trade! It was long EURUSD position of 5 lots, order was in market more than 2 days. 1262.07% is the biggest increase in funds within the month, the client achieved such a result by trading major currency pairs and gold. 2076 trades made the most active trader in July! The client traded indexes, shares and cryptocurrencies without using Expert Advisors in mobile trading platform. Want to manage trades from your smartphone? Download mobile MT4 for Android/iPhone or MT5 for Android/iPhone. $119 206 is the best total trading result of July! The client traded major currency pairs and cross rates. 62% of all the July trades were profitable. USDTRY – USA imposed sanctions on Turkey, which caused rapid rise of USDTRY. Traders all over the world are waiting for the conflict to continue and quickly get rid of Turkish lira. From the beginning of August a USDTRY trade of 5 lots could have brought $44 372 of profit. BCHUSD – Bitcoin Cash is a perfect assets for traders who use trend technical indicators. Almost every day ADX indicator gives strong trading signals for high profit. Potential profit for a trade of 16.80 lots during the first week of August would be $28 345. XRPUSD – several large holders of Ripple cryptocurrency are selling their assets. For this reason we are observing strong downtrend. 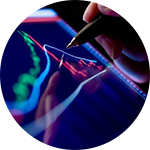 Use Bollinger Bands to determine perfect points to open and close positions. From the beginning of August you could have got $25 473 for a XRPUSD trade of 29.21 lots. GAS – throughout the world interruptions in natural gas supplies are observed – every week we see news in MT news feed that cause sharp rise of GAS price. Follow the news in MetaTrader trading platform! Meanwhile, during the first week of August a trade of 4.24 lots could have brought $7 802. BRENT – if you prefer fundamental market analysis, consider trading Brent oil – this asset offers great opportunities for earning due to sanctions against Iran. The sanctions are likely to cause decline in oil export and sharp rise of quotes. From the beginning of August a trade of 3.45 lots could have brought $5 626. Have you collected your money? Do you use all the benefits of FreshForex Cashback or loose potential profit every week? FreshForex offers stable additional income with Cashback service: it doesn't matter, whether you get profit or loss — we credit up to $20 per closed lot. You can get $10 or $2 000 per week in REAL CASH: it depends only on you and your trading volume! 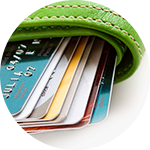 No complicated requirements: activate Cashback once and automatically get payments every week. Credited funds are tradable and withdrawable without restrictions! Customize cashback to suit your trading. 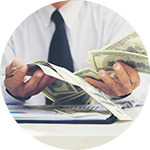 It doesn't matter whether you prefer risky strategies or safe and reliable trading methods, you can always select the most beneficial cashback scheme. You don't need to take much effort to get more profit with FreshForex ! FreshForex reduces spread by 15%! We reduce spreads by 15% for all FreshForex accounts! On August 27th spreads for AUDCHF (Australian Dollar to Swiss Franc), CADCHF (Canadian Dollar to Swiss Franc) and CHFJPY (Swiss Franc to Japanese Yen) on all FreshForex account types decrease by 15%! We would also like to remind you that our margin requirements for these assets are the lowest — from $0.73 per minimum contract. FRESHFOREX REDUCES SPREAD FOR VOLATILE PAIRS! British pound is the most volatile base currency. Within the first days of September potential profit for some pairs with pound has reached $3 800 and is still growing! To check spread size for all the account types and to calculate margin and point value go to Forex Specification page. P.S. Using FreshForex Heatmap you can check profitability of each asset. NEW SPREADS FOR ENERGY AND PRECIOUS METALS: PROFIT UP TO $76! Great news: on September 7th we improve spreads for six energy and precious metals CFDs! So your spread expenses on Classic accounts are reduced by up to $76 per lot. For Market Pro and ECN accounts value of floating spreads is also improved, you can check out floating spreads value on CFD Specification page. For 1 lot of XAGUSD (Silver) spread expenses are reduced by $50 in comparison with old spread value. 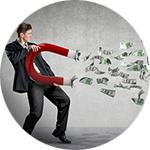 By using Cashback option you can increase your profit by another $20, so total profit may reach $70! On September 7th at 12.30 noon GMT August Nonfarm Payrolls is to be released. This report shows changes in number of people employed in USA non-farm sector. 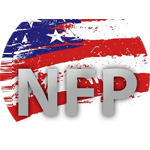 Total number of employed in this sector is about 80% of workers producing USA GDP. "ISM leading indicators of employment predicts data release within consensus forecasts. It's a positive signal for American stock and oil markets. On Friday consider buying #SP500, Brent and WTI." New spreads are already available on all the types of FreshForex trading accounts! We would like to remind you that for FreshForex Classic accounts there are fixed spreads, and for FreshForex Market Pro and FreshForex ECN — low floating spreads. Here's 6 currency pairs for which spread value is changed. These currencies belong to assets of emerging markets and are often highly volatile. 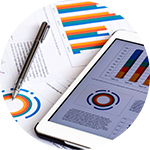 Besides, we offer low margin requirements for these assets — average value $1 per smallest contract. 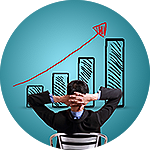 Thanks to new trading conditions you can reduce spread expenses for volatile currency pairs and increase your profit! HOW TO FUND FRESHFOREX ACCOUNT AND GET PAID?! ✘ Fund account without commission? It's too boring! ✔ Fund FreshForex account without commission and get $25 of real cash as a present! Only till September 30th when funding account via FreshForex MasterCard with $500 or larger amount you get $25. These funds are tradable and withdrawable without restriction. Please note that bonus is not credited automatically. That's why after funding trading account send us request for bonus crediting via Feedback section in Client Area with a subject "Bonus $25". Check out full terms and conditions on FreshForex website. This week we have two major economic events that influence financial markets! First of all, Bank of England holds its meeting on September 13th at 11am GMT. It is the central bank of the United Kingdom, which sets key interest rates for financial markets of the country and influences monetary policy of the Kingdom. "Investors don't expect Bank of England to change interest rate tomorrow. However, financial authority of Great Britain may positively estimate future economic growth, which is likely to cause growth of the British currency. Great Britain has almost agreed with EU upon trading privileges after Brexit, which is a positive signal for British economics. On Thursday consider buying GBPUSD and GBPJPY." Besides, European Central Bank (ECB) also conducts its meeting on September 13th at 11.45am GMT. Market participants always wait for this event with great interest because it frequently causes high volatility. "Eurozone inflation doesn't grow. That means ECB won't announce quick cut of quantitative easing. That's negative signal for euro. On Thursday consider selling EURUSD and EURGBP." WHAT ETHEREUM, HSI AND SBERBANK SHARES HAVE IN COMMON? What Ethereum, HSI index and Sberbank shares have in common? All these assets already brought high profit within first days of September! We would like to share August trading results of FreshForex traders. Check out our report about the best trades and the most interesting assets for trading and set your own records! $3 336 is the most profitable August trade! It was short EURUSD position of 3 lots, order was in market more than 24 hours. 984% is the biggest increase in funds within the month, the client achieved such a result by trading major currency pairs and USDZAR. The most active trader made 1879 trades in August! The client traded major currency pairs without using Expert Advisors. $130 605 is the best total trading result of August! The client traded cross rates. 63%of all the August trades were profitable. 59% clients with deposits larger than $5 000 closed this month with profit. ETHUSD – ethereum is highly volatile in first half of day, when Asian traders trade actively. That's why intensive price movements that can bright high profit often happen in mornings. From the beginning of August an ETHUSD trade of 23.34 lots may have brought $64 653. HSI – one of the key Asian stock indexes that has been in flat lately. For this index oscillator RSI is perfectly suited. RSI often forms sell and buy signals. From the beginning of August a trade of 0.75 lots may have brought $13 683 of profit. USDZAR – perfect asset for traders that use trend-following technical indicators. Indicator ADX forms strong trading signals almost every day. Within first weeks of September one could have got $11 754 for a trade of 5 lots. Sberbank – if you prefer fundamental market analysis, consider #Sberbank, that is in strong downtrend due to American sanctions against Russia. A trade of 0.08 lots could have brought $993 from the beginning of the month! Get No Deposit Bonus 1000usd for Forex trading! How to do that? Just open your first account with FreshForex. Get profit — can withdraw it, get loss — don't loose anything!